There is no lack of activities in Juneau. Type in “things to do in Juneau” and the list Google provides will you keep you busy year round. I often say Juneau adventure opportunities are like restaurant choices in most big cities: if you go to a new one each day of the year, you still won’t have done them all. 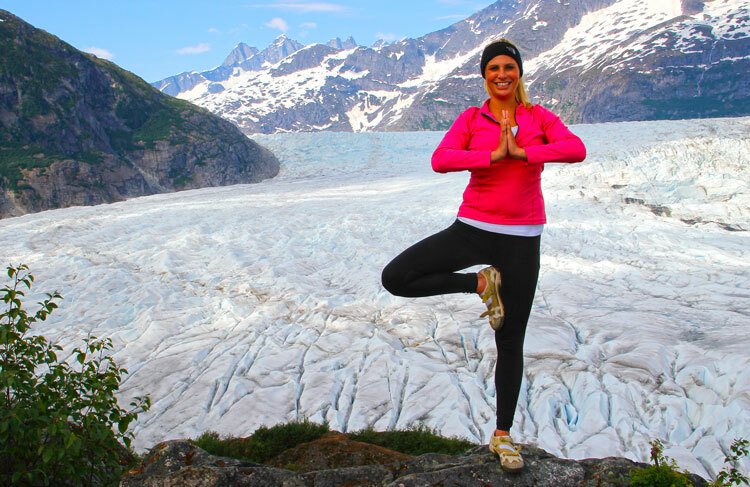 How is it possible for an Alaskan traveler to experience the best of Juneau in the shortest amount of time? To avoid the paradox of choice, let’s keep it simple. Sort of like the In-N-Out menu. Too many choices and you end up picking something that may not represent your travel goals. Walk and learn the stories of downtown. Pick up a map at the information booths and walk through this historic mining town. Juneau was built on the riches of gold starting in 1880. The stories of these streets is rich with excitement and fascination. Get wowed by nature at Mendenhall Glacier. A shuttle will easily get you to the visitor’s center, but everyone else is going there as well (they receive half-million visitors every summer). Exit the crowd, and find transportation to West Glacier Trail. This 3 mile (one way) trail will reward you with an abundance of nature you have never experienced on any other hike in your life. Be careful as the trail is a bit difficult in some locations. When you reach the end, spend some time in your favorite yoga poses and truly ground yourself in the moment. Go out the road to Eagle Beach. Around mile 27, the stillness of the ocean and vastness of the mountains make Eagle Beach a true wonder. It is a place that fills the spirit and vibrates the creative fibers of the soul. Find a place to sit still awhile. Create a drawing or take a picture only after embracing the scene in front of you. It’s meaning will sink in much deeper. I think people travel to Alaska to satisfy at least one of these interests: find stories, experience nature, or fulfill the spirit. Last year, I spent a couple months on a solo road trip of the lower 48 (that’s what we call them in Alaska). The purpose of the travel was simple: to experience and understand what is out there. I heard amazing stories from my hosts in New York, I watched the tides flow in and out while hammock camping on the beach in Olympic National Park, and my spirit understood life a little better after creating art in the forests of Oregon. It is the stories, nature, and spirit of Juneau that Adventure Flow engages within every tour. We show guests what is out there here in Juneau. If any of the three above activities peaks your curiosity, you may find interest in our tours based around each of these locations. Click around and learn more about our walking, hiking, and painting tour to discover the optimal experience here in Juneau, Alaska.